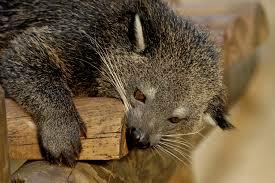 It’s the first annual World Binturong Day! Who’s excited? 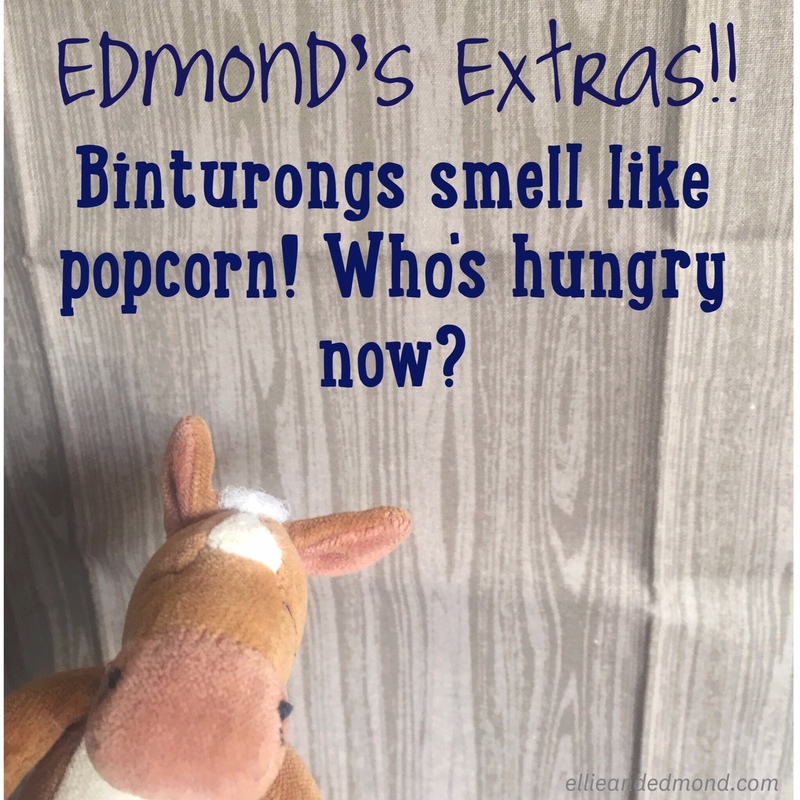 This horse and elephant sure are! We love these unusual mammals! 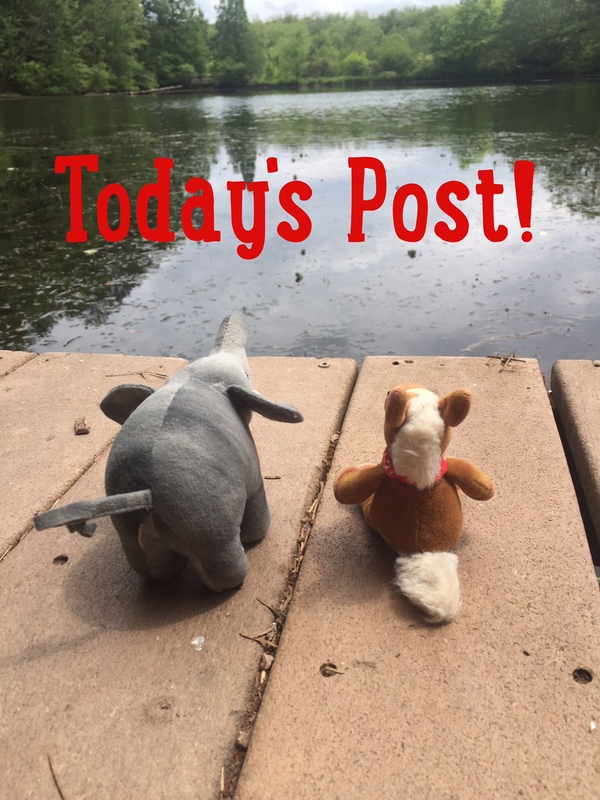 We’ll share some fun facts and a few great resources for you today! 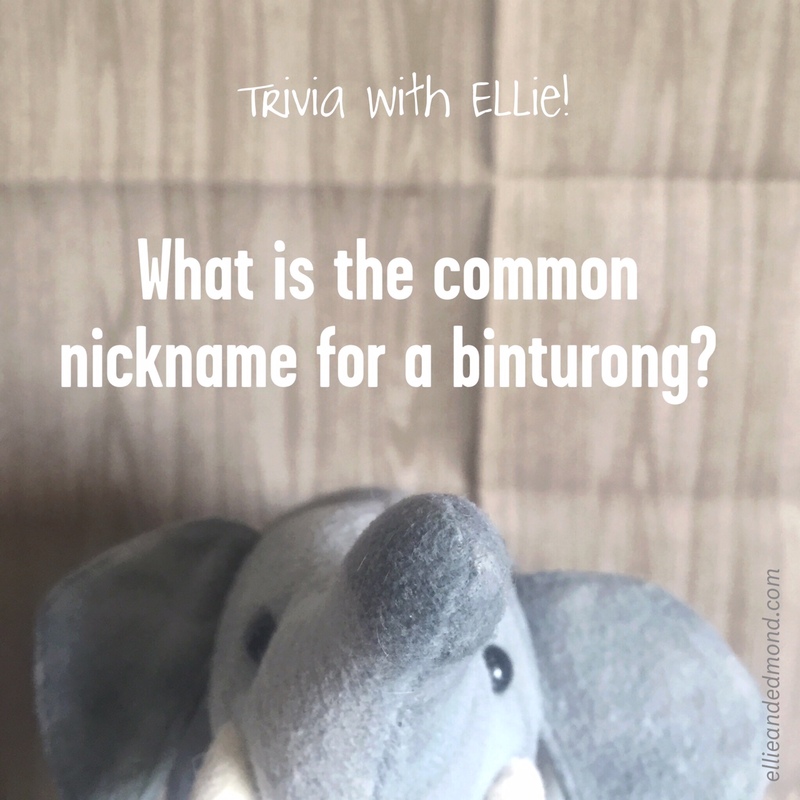 Binturongs are related to civets and fossas! 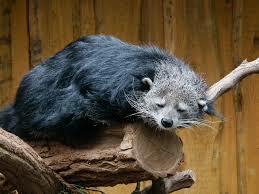 Binturongs keep their long shaggy coats clean by licking them like a cat does. Binturongs eat insects, carrion, plant material and pretty much anything they fancy. They are 2-3 feet long and can weigh as much as 50 lbs. 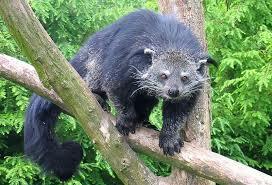 Binturongs can be found in rainforests of Southeast Asia. You can learn more by visiting the ABConservation website or checking out Zookeeper Rick from the San Diego Zoo! Why do they smell like popcorn? 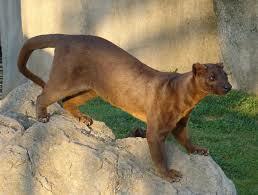 I did not know what a bearcat looked like and I certainly did not know the proper name you used for it. I think they look quite scary. The smell must help protect them from predators somehow.